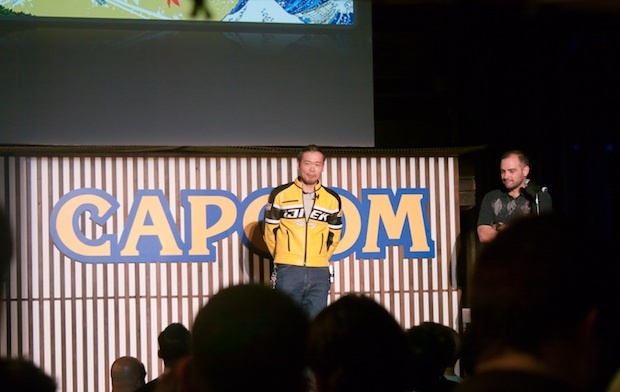 Tonight at Capcom's pre-Tokyo Game Show event, Keiji Inafune spent a long time talking about the "West." If you'll remember, Inafune was heavily quoted at this exact event last year, saying that the game industry is dead. He didn't necessarily go back on that tonight, saying that he's "not expecting too much," but he did spent a lot of time on making sure that we don't worry about the upcoming western co-developed titles coming in the next year. Among the night's announcements was the acquisition of BlueCastle Entertainment, the developers of Dead Rising 2. During that part of the presentation Inafune pointed out that fans were concerned that Dead Rising 2 would have too much western influence, and wouldn't feel like a Capcom title. 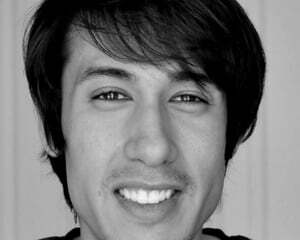 He assured the audience that it actually does feel like a Capcom title, and that we'll see soon. He went on to say that their goal is to bring gamers titles that feel like Capcom games, regardless of who actually developed them. Later, when the new Devil May Cry title was revealed, Inafune pointed out that the project is a combined effort, with work coming from their San Francisco office as well as the team at Ninja Theory. The game's trailer showed an obvious western influence, and it almost seemed like the presentation that followed it was in defensive mode. It seemed that Inafune and others on stage felt the need to hit home that DMC would have plenty of Japanese eyes on it at all times, going as far as to point out that plenty of airplane travel has already taken place for game planning meetings. Both Inafune and supervising director Hideaki Itsuno kept hitting home that this game would be the best of the east and west. Inafune ended his presentation tonight by saying that Capcom will never take the easy path, and that they plan to continue with their globalization path. He finished: "We will continue taking risks doing new and exciting things, and there's no signs of us giving up anytime soon." It's almost as if he wanted to say: We're working with the west, and you're going to like it.